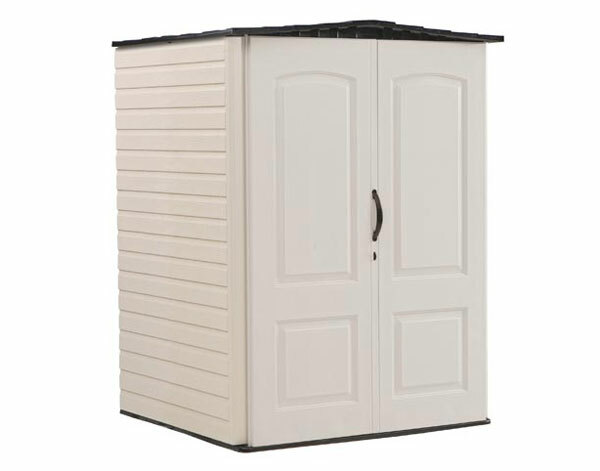 Currently viewing the category: "Rubbermaid"
Yeah, it looks more like one of those kiddy-castles than it does a shed. But still, this might be the only real solution for some folks (like me, sadly) whose overly-zealous homeowner’s association won’t allow any kind of construction of any sort in a backyard — even if it’s not visible from the street. So if building one’s own isn’t an option, do these sheds hold up? 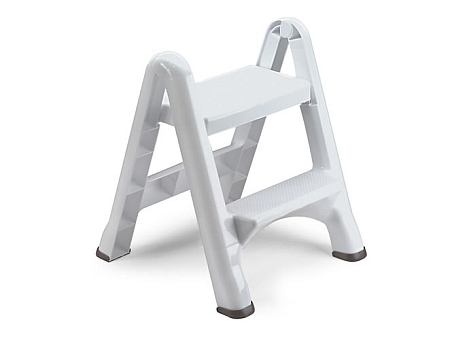 My wife has had two of these Rubbermaid folding step stools for years. She keeps one in the pantry and one in her closet so she can easily reach items on the upper shelves. And, I have to admit, I’ve “borrowed” them on occasion to use in the shop and on a project or two. I really like the wide steps and the fact that it can support up to 300 pounds — not that I weigh 300 pounds; I just feel better putting my mere (and this is where I really like metric) 100 kgs on something rated more than that. 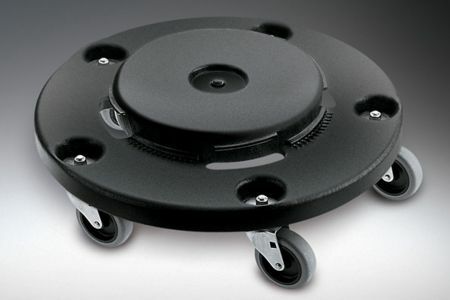 It’s lightweight, rugged (reinforced polypropylene), easy to carry, has skid-resistant foot pads, and folds neatly for storage.The EZ Step™ is available online for around $23. If you don’t like the antiseptic white color, it also comes in a darker “metallic cylinder” (!?). 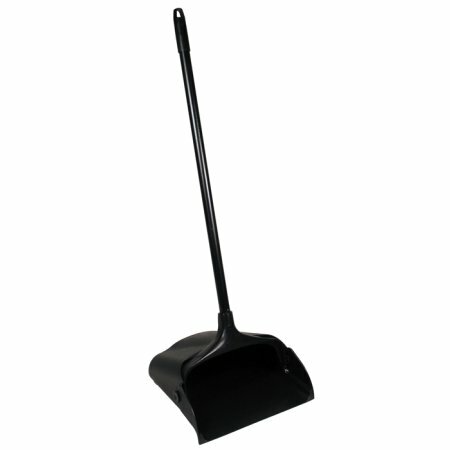 Looking for a place to store the handled items in your shop — you know, like your broom, shovel, rake, etc.? 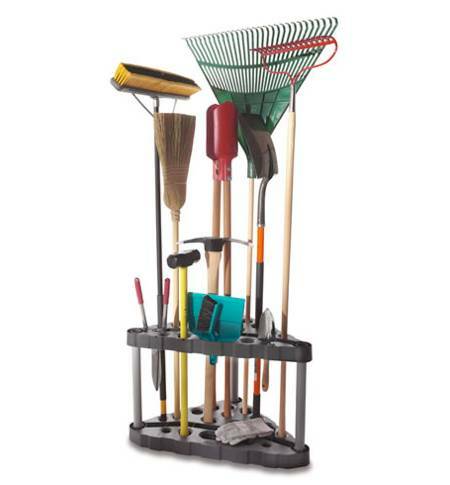 Rubbermaid’s Tool Tower fits into a corner and holds up to 30 long-handled tools. And unlike cheap wall-mounts, it won’t eventually rip off the wall — generally when you least want to take the time to re-install it — leaving ugly holes. Are you still mopping the garage floor with the mop rejected from the kitchen last year? If so, upgrading to the pro’s solution — a nice rolling mop bucket and wringer — makes the whole process a lot easier. And unlike upgrading to the latest table saw or knee mill, it’s pretty easy on the wallet. Of course you can get by with a bucket and crappy mop. But you’ll save a bend-down-to-pick-up-the-bucket rep every time you move. 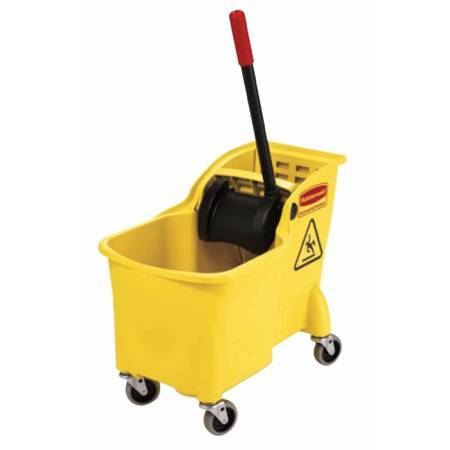 And by pairing this with a good ‘ole standard mop you’ll save yourself the indignity of sticking your hands in the moist remains of floor nasty in order to repair the kitchen-style self-wringing mop. And when you’re done, just stick the whole thing in the corner — or out in the shed if you have one. The Rubbermaid rig pictured above runs $54 from ACE right now, though you can find a similar deal (or even better) all over locally. For the best deal check out your local restaurant supply store. Not surprisingly, restaurants need a lot of these, and the fact that they’re notably cheap-minded when it comes to things that don’t draw customers or save cash works in your favor. After some much-needed “therapy” this weekend, my shop needed some serious cleaning. As I was bending over picking up small cutoffs, nails, and screws that were just too heavy for the Shop Vac, I thought there had to be a better way. Later, when doing research for a post, I stumbled across a “lobby” dust pan — and a little light went off in my head. If you haven’t got your summer hydration plan in place yet, take a look at this deal. 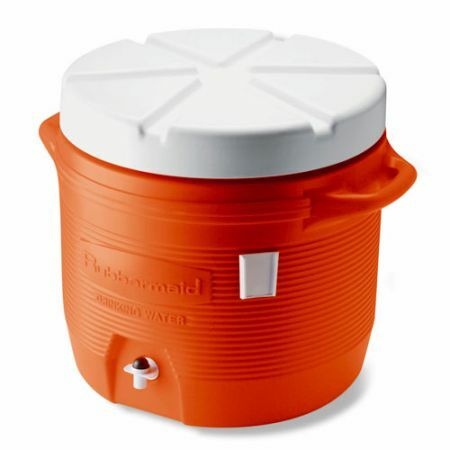 Wal-Mart is selling this seven-gallon water/beverage cooler for $30, online only, with free shipping to their stores. Searching for this type of cooler for my own hydration plan, I found lots of options with street pricing much higher than this — on a dollars per gallon basis, this is a steal. I just wish these suckers were rated on some kind of insulation scale. If smaller is better, you can get a five-gallon cooler on Amazon for $22. We’re always lugging our Rubbermaid Brute trash bin around the shop to get it out of the way of a project — or to carry it out to the big bin to empty it. But since we ran across this at Lowe’s, we lug no more. Now we roll, baby. Sure, it’s a little over priced at $30, but if you move your ‘can around often, it’s a total lifesaver. And why build one when you can have one that fits (a number of different sized Brute ‘cans) perfectly and does the job? And come on: How often to you really buy trash cans anyway? Note: Normally we like to avoid linking directly to a single seller, but in this case Froogle turned up a bunch of prices that were dramatically higher than Lowe’s, so this time we’re just going to link to them. If you’d like to pick it up elsewhere, just drop it into Froogle for dozens of other retailers.